Every herd has stress. It’s a practical reality. 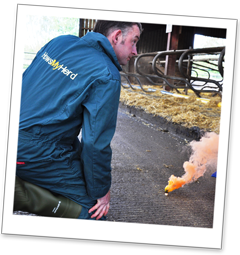 Use our specialist advisers to help you identify and manage the hidden performance suppressors in your herd. HowsMyHerd puts one of our experienced consultants on your farm, expert in “reading” cows and understanding the key factors for a cow friendly environment. 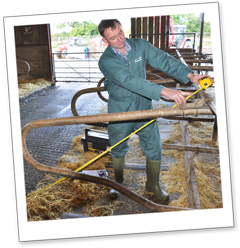 The consultant scores a sample number of cows for body condition, mobility score, hock damage, rising score and neck injury score. He also assesses cow environment, cow nutrition, cow flow and routine. HowsMyHerd is designed to complement the work you do with your vet to create healthy profits for you from your healthy herd. After the visit the consultant will provide you with a concise report with practical recommendations and a traffic light system that prioritises actions to maximise the wellbeing of your cows. 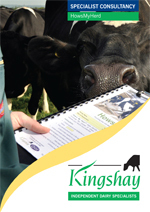 A HowsMyHerd assessment on your farm could give a huge boost to cow performance for very little cost. "Since making the recommended changes, lying times have improved dramatically. Two hours after milking, 100% of heifers were lying perfectly in the cubicles"